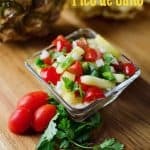 Pineapple Pico de Gallo - Fresh & Healthy! 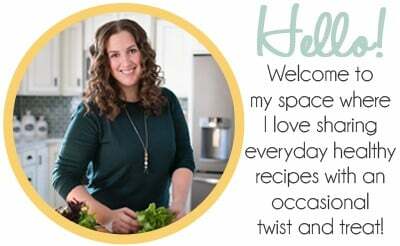 You are here: Home / Appetizers / Pineapple Pico de Gallo – Fresh & Healthy! Pineapple Pico de Gallo – Fresh & Healthy! 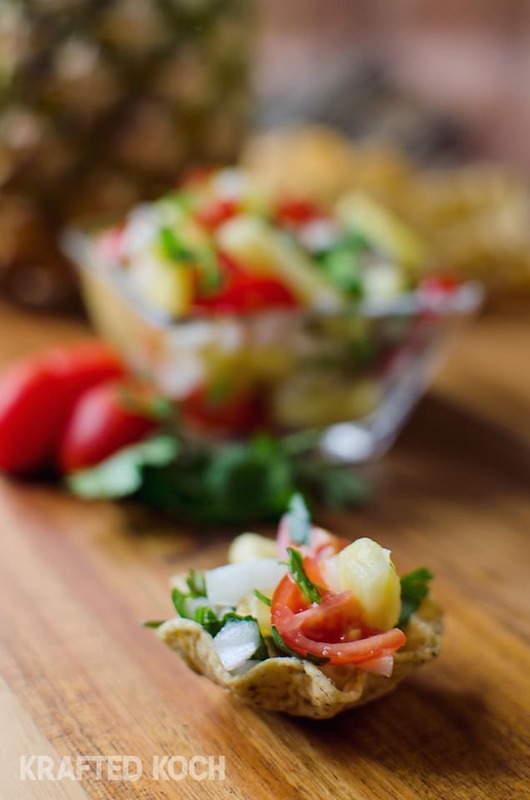 This fresh take on pico de gallo is a sweet snack with fresh pineapple and vegetables! This quick and healthy snack comes together in 10 minutes and the whole family will love it. So, I found far too many cute things in the store, but nothing was on sale! How can nothing be on sale in a clothing store, isn’t that like mandatory or something?! Well, I just despise paying full price for clothing, so I started scouring my phone for a coupon code, and somehow couldn’t find one of those either! Things were not going my way in the discount department, but my arm was draped with so many beautiful tops that I just couldn’t justify putting any back on the rack. My last resort was to look up a few of the items online to see if there was a price difference. Well, FINALLY, I found some good news. Online, they were all Buy one get one 50% off. I proceeded to the check-out counter and asked the lady if these shirts where BOGO50%. She replied with a friendly, “No, sorry”. I then mentioned that they were discounted online and she promptly and quietly responded, “Oh, well we can just do that discount for you then.” What the heck?!?! Since when is this how corporate stores operate? I mean, I know I can go to a furniture store or car dealership and try to negotiate a better price, but since when can you do that with clothing chains? Oh well, I was just happy I got my 25% discount and I was on my way, but you better believe I will be cross checking prices from now on! So with these hotter temps outside, it is time to find some fresh and healthy snacks to go with it. This Pineapple Pico de Gallo is just the thing! 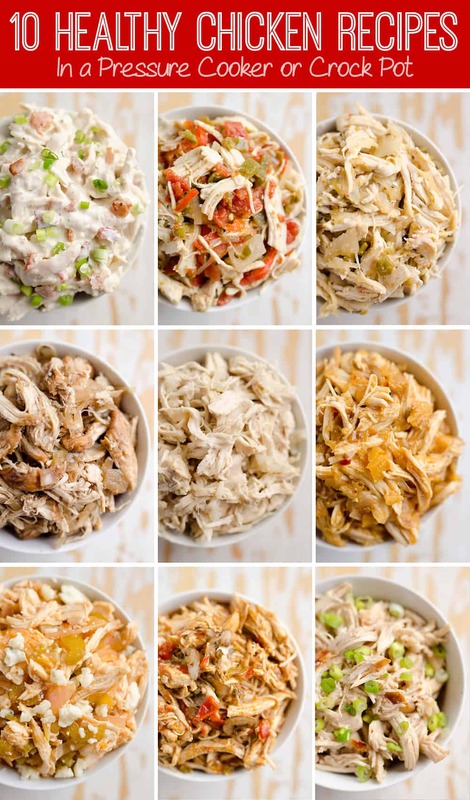 Snack on it with some chips or toss it on a grilled chicken breast for an easy summer dinner. 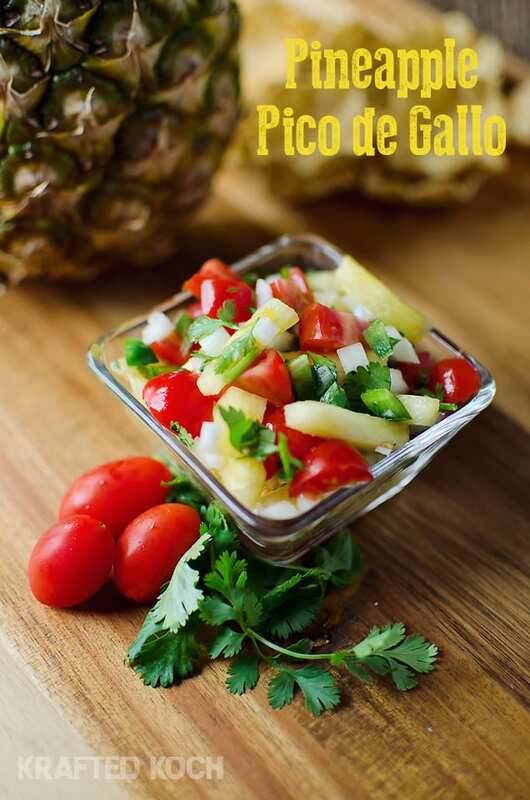 This fresh pineapple pico de gallo is a sweet snack with fresh pineapple and vegetables! This quick and healthy snack comes together in just 10 minutes! Combine all of the ingredients and refrigerate in an air tight container. Stores well refrigerated for 3-5 days. Serve with chips for a snack or with a grilled chicken breast for a healthy dinner. I still can’t or don’t want to believe this story! I need to start doing this with my shopping too! I’d love to cool off with a big bowl of this pico de gallo and chips!